Ipsa officials have remained defiant since the possibility of a siginificant hike in pay emerged this year and the organisation's chief executive, Andrew McDonald, has insisted the public have a "more sophisticated" view of the proposed package than they are being given credit for. "This is an issue where the public has a more nuanced, and split, opinion than the reactive howls of 'outrage' from some commentators and politicians," he wrote on Ipsa's website. "The package we will announce on Thursday will, taken as a whole, not cost the taxpayer a penny more," he added. "That message has not been heard in the hubbub of the last few days." 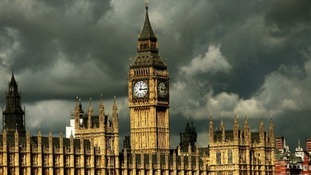 Ipsa is planning a squeeze on MPs' pensions in a bid to cancel out the £4.6 million cost to the public purse. A £2.5 million saving by downgrading the final salary scheme to career average - matching the rest of the public sector - had already been proposed alongside a crackdown on various perks. The watchdog responsible for MPs' pay is expected to confirm plans to introduce an 11% pay rise amid threats that the controversial proposals could lead to the organisation being axed. Ed Miliband has called on David Cameron and Nick Clegg to accompany him to a meeting with the Independent Parliamentary Standards Authority (Ipsa) to demand it halts the wage hike. In a letter, the Labour leader says the pay increase "undermines confidence and trust in our political system". Yesterday the Prime Minister issued a veiled threat to abolish Ipsa if it presses ahead with the planned rise after the 2015 general election, insisting it was "simply unacceptable" that Members' salaries would increase increasing by £7,600 to £74,000. Ed Miliband has suggested the public's confidence and trust in the political system will be undermined unless the uncertainty over MPs' pay is resolved. Mr Miliband has said all three party leaders should meet the head of the Independent Parliamentary Standards Authority to voice their concerns over the planned 11 per cent pay rise. Ed Miliband's letter to the Prime Minister. Ed Miliband has said all three party leaders should make clear their opposition to the head of the Independent Parliamentary Standards Authority (Ipsa)'s expected recommendation of an 11 per cent pay rise to MPs tomorrow. In a letter to David Cameron, the Labour leader wrote: "I believe the three party leaders should meet Sir Ian Kennedy tomorrow to make clear our view that we cannot go ahead with the current proposition." Prime Minister David Cameron has said he thinks it would be "simply unacceptable" for MPs to get a pay rise "at a time of public sector pay restraint". Responding to Ed Miliband's question on a proposed pay rise "many times above inflation" in 2015, Cameron said there was agreement across the three main political parties on this issue. He also said the Independent Parliamentary Standards Authority - which is proposing a rise worth £7,600 - needed to "think again". The Deputy Prime Minister's office has responded to Ed Miliband's call for cross party talks to block the planned pay rise for MPs. Sources point out that there is already cross party agreement on the issue: all three party leaders have publically expressed their opposition to the reported 11 per cent hike in salary. Nick Clegg's aides also point out that the Independent Parliamentary Standards Authority does not publish its recommendations until Thursday, so it would be wrong for politicians to get involved in a process - which is rightly independent of politicians - before the announcement has been made. 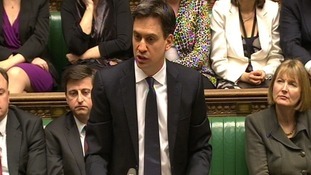 The timing of Mr Miliband's announcement condemning a possible pay rise for MPs' has raised a few eyebrows. Earlier Downing Street declined to say whether David Cameron is ready to accept the expected above-inflation pay hike for MPs. I don't believe Ipsa have made a formal proposal yet. Any proposal that they make will be reviewed in mid-2015. The Prime Minister's long-standing position is that the cost of politics should go down, not up. He doesn't think that MPs' pay should go up while public sector pay is being restrained. If the package of proposals being set out by Ipsa is as reported it cannot go ahead when people are going through the biggest cost-of-living crisis for a generation. We cannot have an outcome for MPs which does not command public confidence. Therefore we are asking the Conservatives and the Liberal Democrats for a cross-party approach which recognises the current economic circumstances where workers in the public and private sectors are going through such difficult times. Labour's Jack Straw has said MPs pay must increase to attract "people of modest backgrounds" into politics. The Independent Parliamentary Standards Authority (Ipsa) is expected to increase MPs' pay by 11 per cent to take effect after the 2015 general election. Mr Straw, who will stand down as an MP at the next election, admitted there was never a right time to increase MPs pay but said the salary must be sufficient enough to attract a wide range of people including those who had not inherited family wealth or homes. Speaking on Radio 4's The World This Weekend, the former Foreign Secretary questioned whether it was right MPs pay had "fallen so far behind" some primary and secondary school headteachers, local government figures and senior journalists.